Zimbabwean Former Vice President Emmerson Mnangagwa fled the country after receiving death threats. Zimbabwean ex-vice President Emmerson Mnangagwa and his wife Auxillia Mnangagwa at political function in Harare,Zimbabwe. 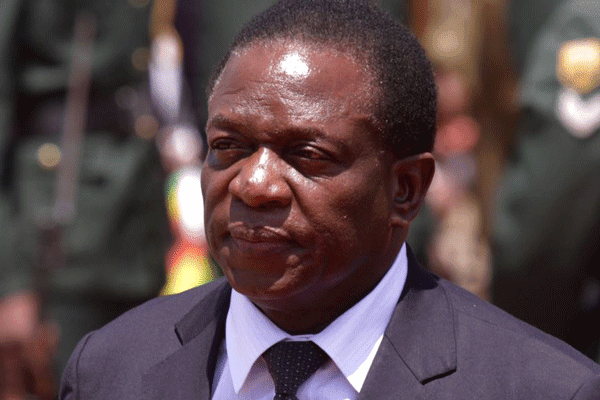 Former Zimbabwean Vice President Emmerson Mnangagwa fled the southern African nation because of “incessant threats” against him and his family two days after he was fired by President Robert Mugabe. Mnangagwa fled to neighboring South Africa, according to the well placed source within the political circle in Zimbabwe, since his whereabouts in South Africa have not yet publicly disclosed. Now Mugabe, 93, has broken with most of his comrades who fought in the liberation war, leaving the so-called Generation 40 faction of younger members of the ruling party championed by his wife, Grace Mugabe, in the ascendancy. The final outcome of the power struggle could be determined by the military and the stance of the 61-year-old commander of the army, Constantine Chiwenga, who traditionally supported Mnangagwa. Mugabe said he fired Mnangagwa because he was plotting against the government. "We dealt with him and hope we can deal with others who were conspirators alongside him,” Mugabe told party supporters Wednesday in the capital, Harare. “They should be dealt with and thrown out.”The Zimbabwe National Liberation War Veterans Association condemned Mnangagwa’s dismissal and said it was breaking with the ruling party. “The party and indeed the nation is being traumatized by one person, Robert Gabriel Mugabe, who is bent on maintaining his hold on power and ensuring that he passes on this power to his wife in a dynastic fashion,” the group said in a statement Wednesday. “We are stating in no uncertain terms that we have completely disowned Mugabe. He is no longer one of us.” The veterans are calling for support from western nations and countries in southern Africa to help maintain peace and ensure free elections in Zimbabwe, a leader of the group, Chris Mutsvanga, told reporters Wednesday in Johannesburg. However, the Zimbabwean Diaspora have had champagne on ice for years, waiting for the moment they can finally pop the cork when the long, painful reign of Robert Mugabe comes to an end. But, Mugabe has plans to rule from the grave. His wife, Grace, is positioning to take the mantle. She is being billed as the most powerful person in Zimbabwe after her husband. Mnangagwa’s firing and his expected expulsion from the ruling party come amid growing tensions before elections next year when it may face a seven-party opposition coalition that’s capitalizing on public anger over cash shortages, crumbling infrastructure and a collapse in government services. The economy has halved in size since 2000. "Grace she has always had agenda to get rid of this entire cohort of liberation struggle people,” said Chikwanha. “She is almost succeeding the war veterans have been alienated.” While Mugabe is the party’s candidate for the elections, Grace, the president’s former secretary whom he wed in 1996 after the death of his first wife, said on Sunday that she’s ready to succeed him.